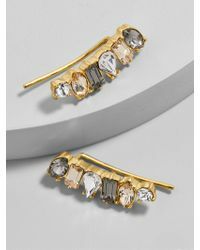 We check over 450 stores daily and we last saw this product for $32 at BaubleBar. Exclusively available at BB.com. 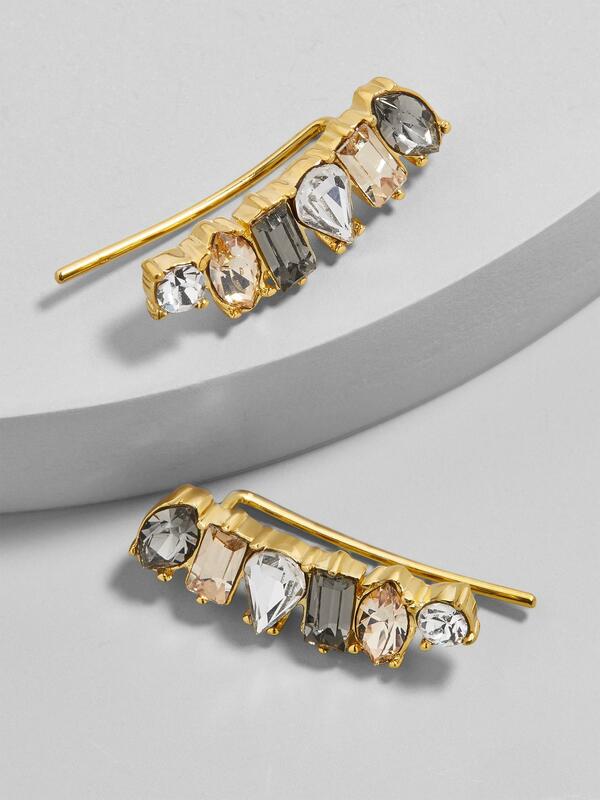 A glittering array of chic crystalwork lends a posh vibe to this ear crawler silhouette. 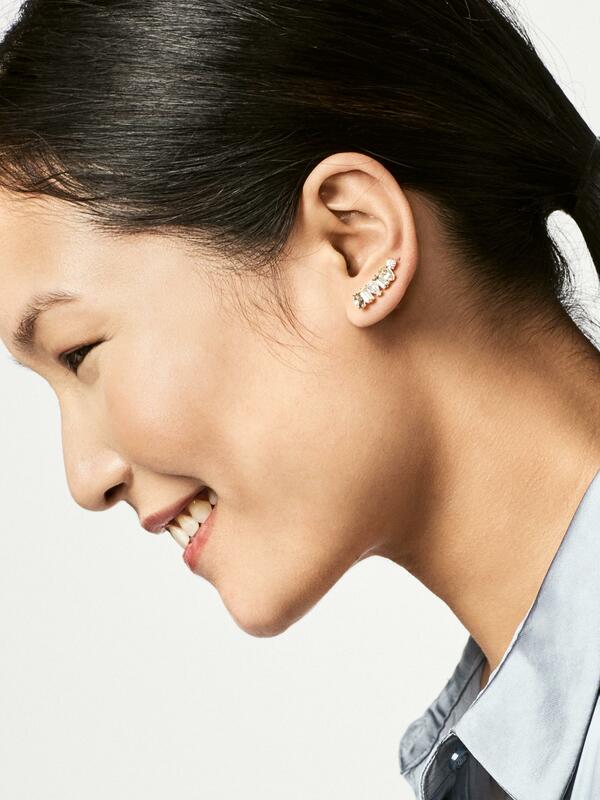 Wear it with a playful ponytail and a bright lip. Brass wire and casting, glass stones. 14K gold plating. Hook. Hypoallergenic. Length: 0.82"; width: 0.24". Weight 0.05 oz.